Xochil Reyes is a determined Senior here at Alisal High, who wants to make a statement of her own before her departure to greater things. Her life in Salinas inspired her that there is much more than what meets the eye, and with her straightforward and realist demeanor, she’ll surely get to where she plans to be. 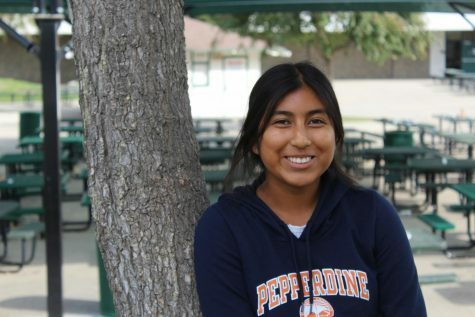 In the meantime, Xochil spends her time playing Tennis for Alisal, she also enjoys soccer, but only watches the sport as she supports one of the best, Barcelona. The reason she joined yearbook was a meaningful one, “When you just buy the yearbook, it's simply just a book to you, but when you know you were a part of making the yearbook, it brings much more meaning because of the memories you made when producing the book.” After high school, she hopes to go to UC Davis for her dream to become a professor. Her passion to teach will surely be another change in the world.